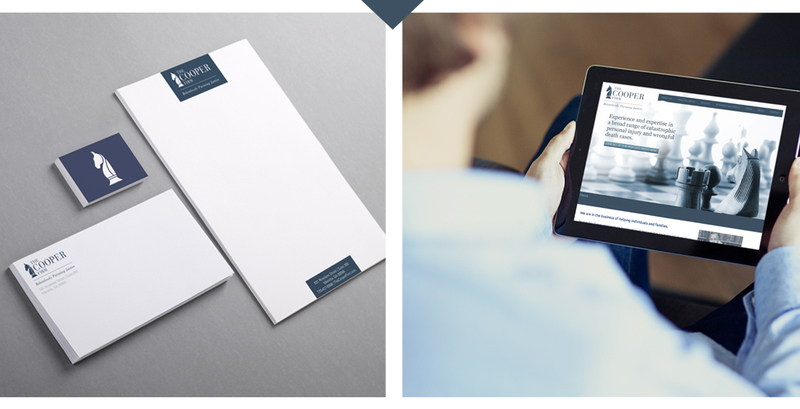 THE COOPER FIRM came to id8 seeking guidance with branding. id8 brought clarity to the brand through the brand identity process resulting in the creation of a stylized knight as the icon. Much like the knight, The Cooper Firm plays an important role in most winning strategies. Project includes brand identity, collateral design, website design, ongoing marketing implementation, newsletter, marketing materials. Beyond our relationship with them, id8 has an impressive relationship with the local community and is always looking for ways to give back. If you are looking for a company who goes above and beyond for their clients and also does excellent work, look no further than id8. The knight reminds us that there is a process that we must follow in order to maximize the opportunity to achieve successful results on behalf of our clients.